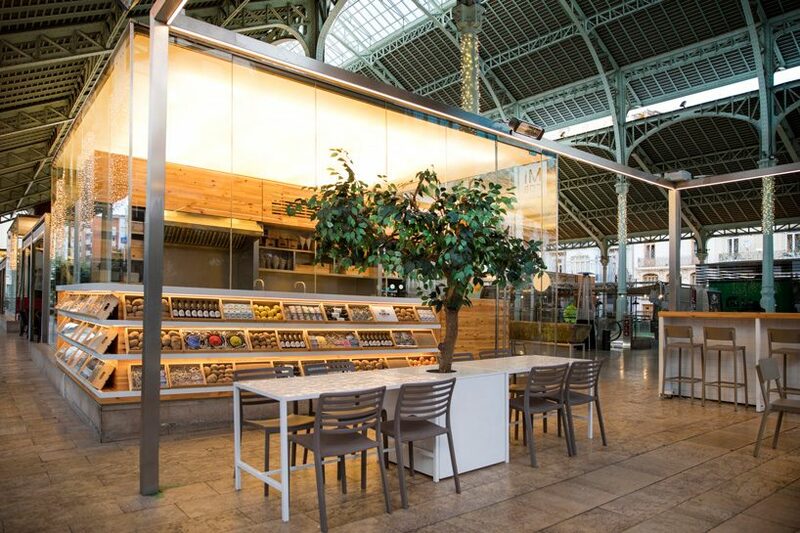 micub by spanish studio culdesac is a new catering concept in the colón market, an old gastronomic market and one of the most emblematic buildings in valencia. 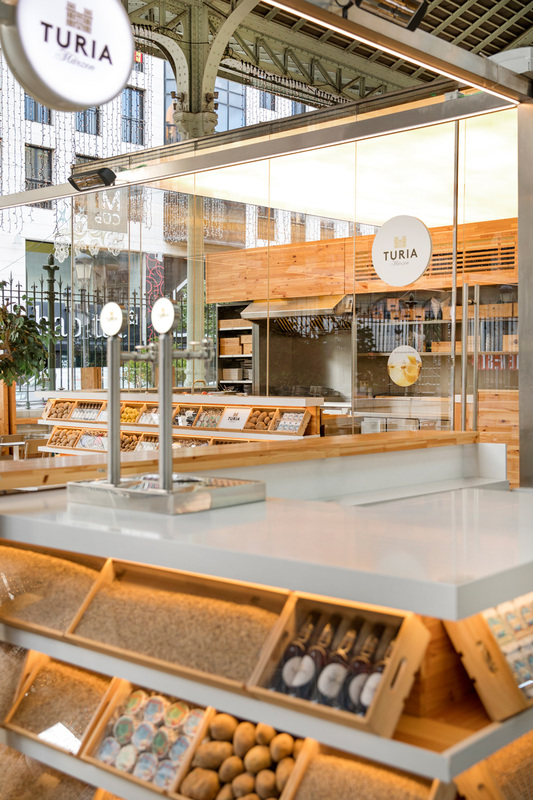 more than a simple restaurant, the dynamic project evokes the culture and tradition of the city, as well as the brand philosophy of local beer turia, whose products take center stage in the bar and counter display. 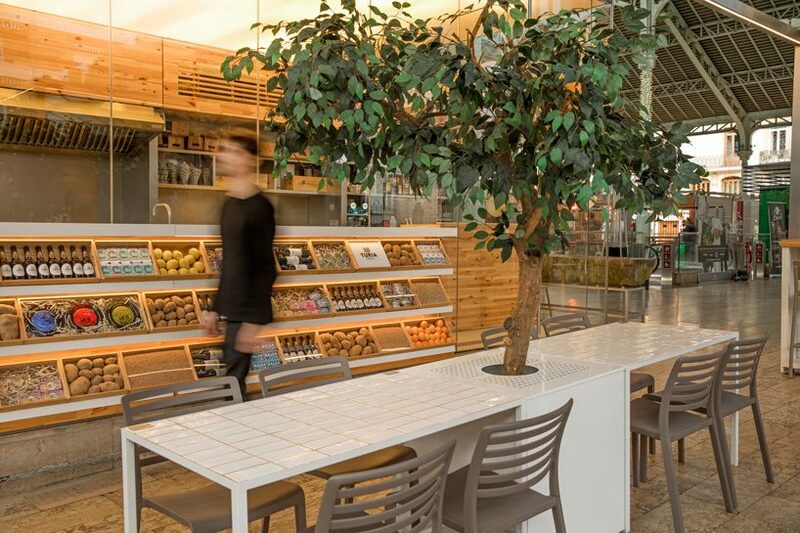 wrapped in the universe of the turia brand, the culdesac-designed space resembles a kind of orchard by incorporating trees and elements that reference the traditional storage of market baskets. 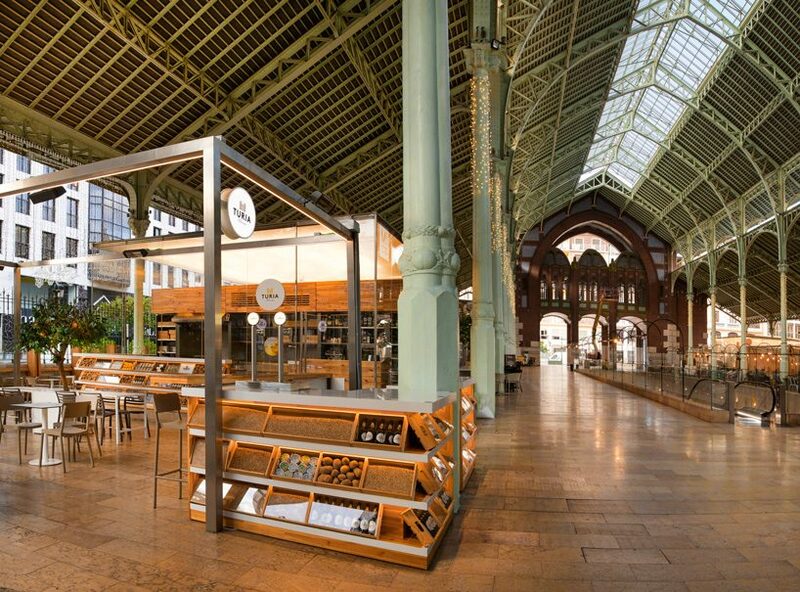 clean and minimalist, micub enhances the more social character of the place by diluting physical limits through a glass structure that does not include roofs so that visitors can live and feel the soul of the colón market during their stay. 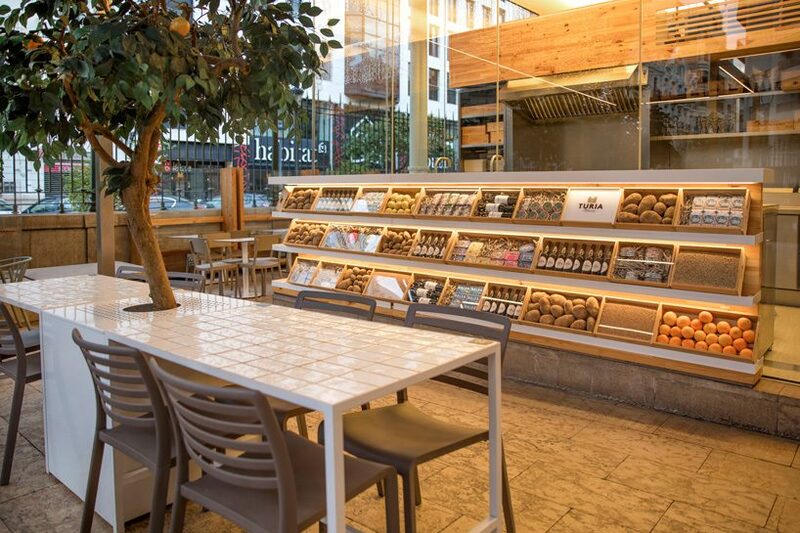 wood and white predominate in micub, combined with steel that serves as a contrast and evokes the more industrial character of the market. 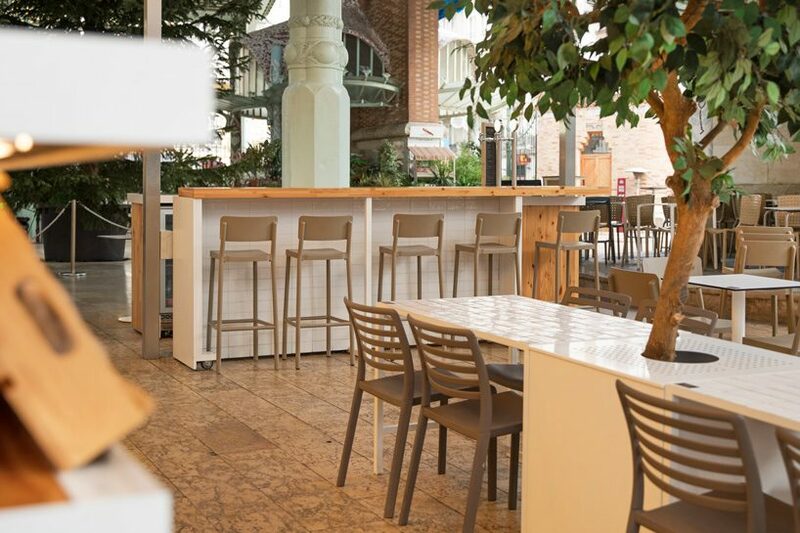 furniture is created in different heights, adding spontaneity and informality to the space, while elongated tables and the stone benches of the market invite the guests to interact with the structure.